U.S. 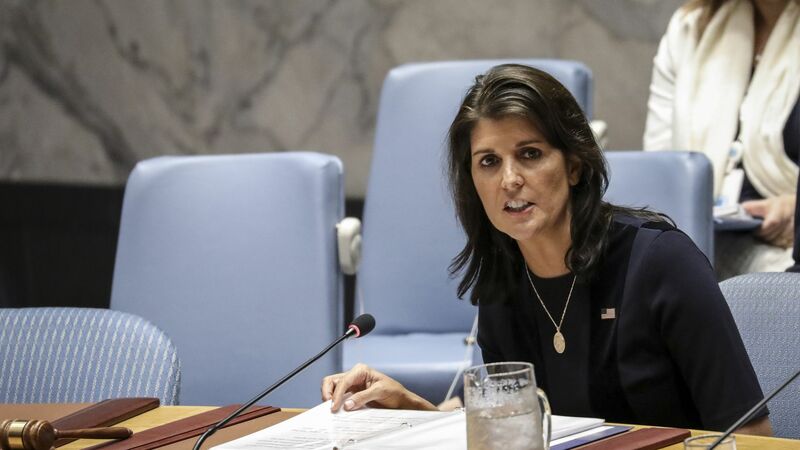 Ambassador to the UN Nikki Haley accused Russia of helping North Korea evade international sanctions during an emergency session of the UN Security Council on Monday. The big picture: The Treasury Department announced sanctions against several Russian companies and vessels last month for engaging in petroleum trade with North Korea. On Monday, Haley called on the Security Council to punish Russia for its continued infractions, claiming its deliberate subversion of international sanctions is "impeding our ability to achieve complete denuclearization in North Korea."